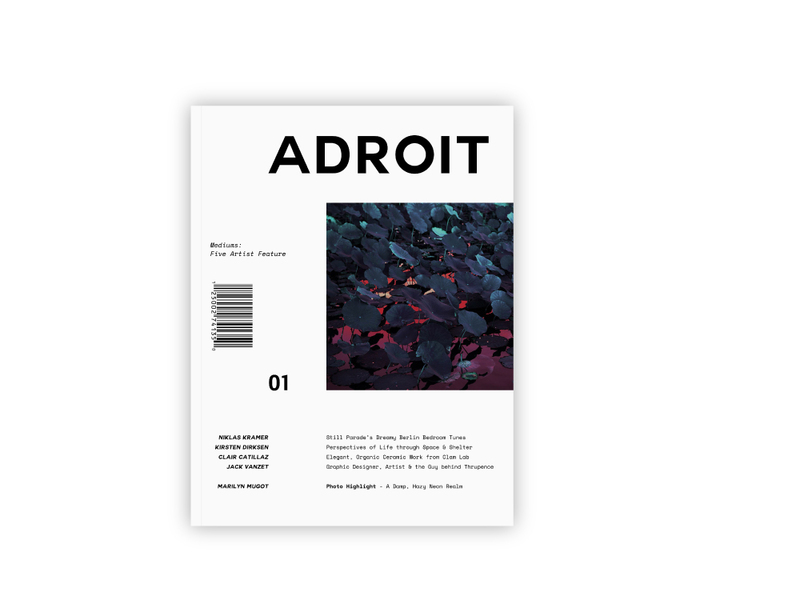 Adroit Magazine was a class assignment that evolved into a personal project. It's focused on highlighting a few of my favorite artists working in several mediums. Showcasing the work was an obvious goal throughout all 64 pages, but I also wanted readers to understand why they do their work and develop an appreciation that goes beyond a surface level understanding. For some, these are not merely hobbies or career paths, but an integral part of their lives that tie into their relationships, values, beliefs and emotions.